If you’ve grown up Italian you have probably experienced Sunday’s where you skip lunch and go straight to eating dinner around 3 to 4 in the afternoon. Since I start work late today, I thought I would continue this tradition I experienced at my own grandmother’s house and cook dinner early. 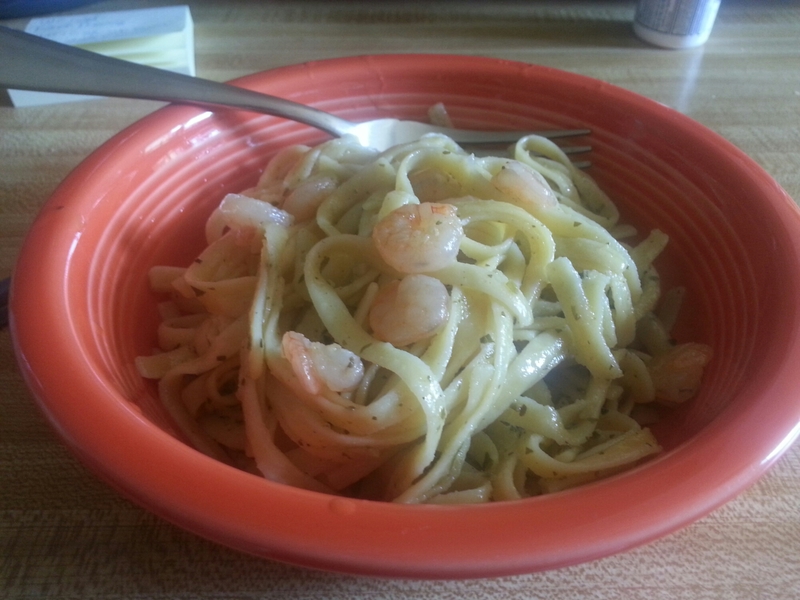 Today I’m eating corn fettucine pasta (gluten free) with pesto sauce and some salad shrimp thrown in. I’m going to enjoy mine. Letter to Anyone: How do I know?